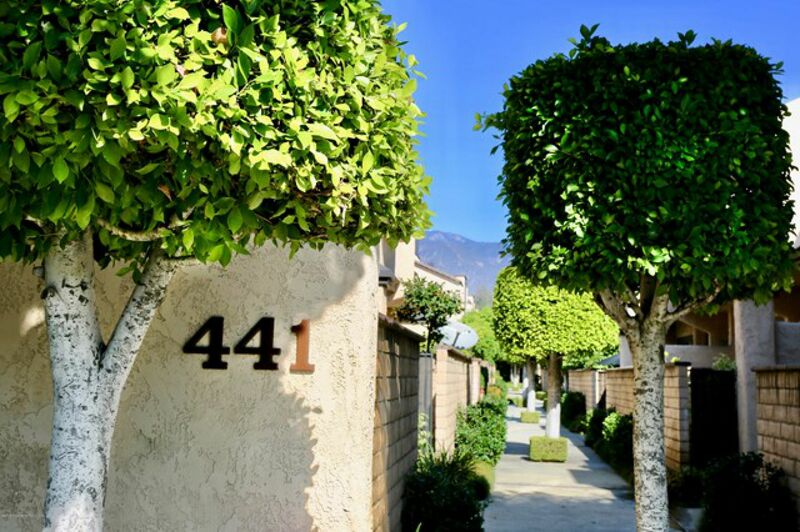 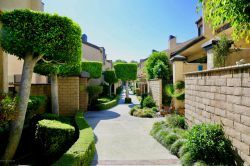 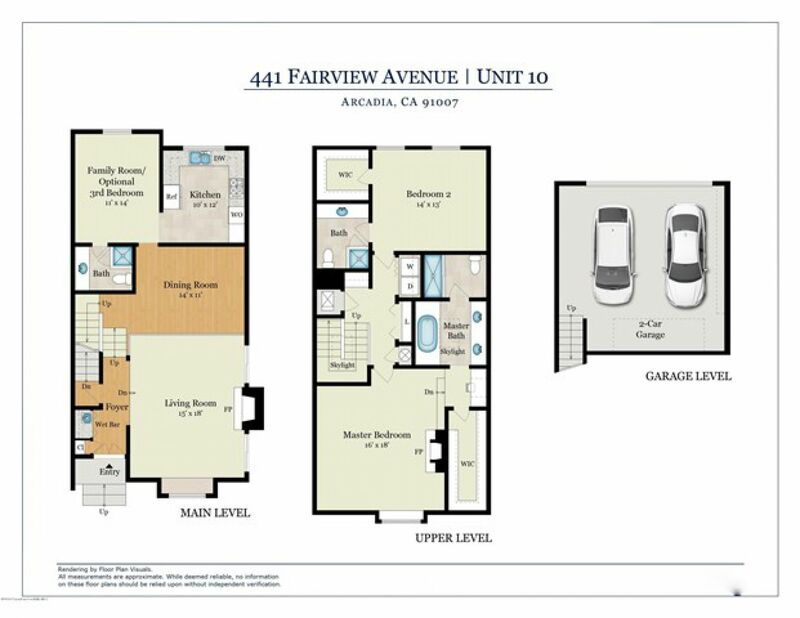 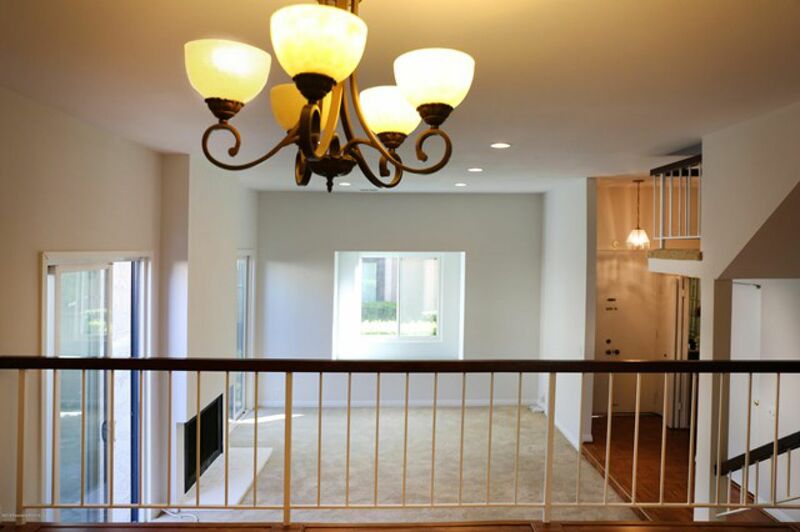 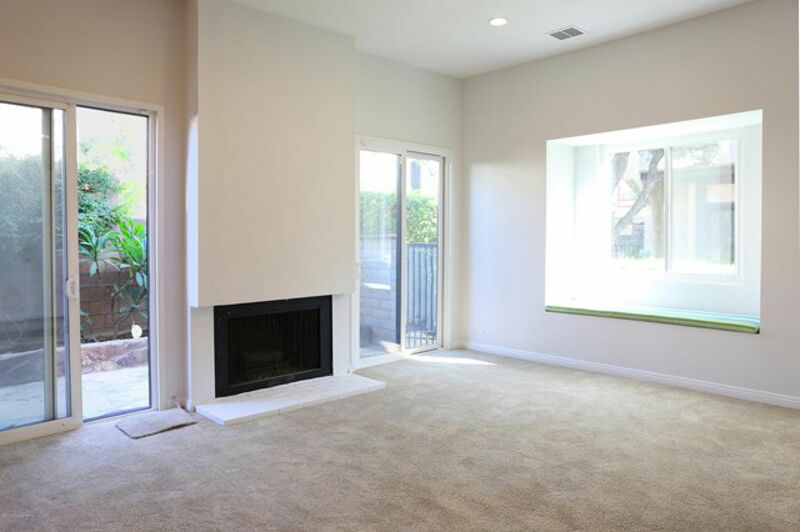 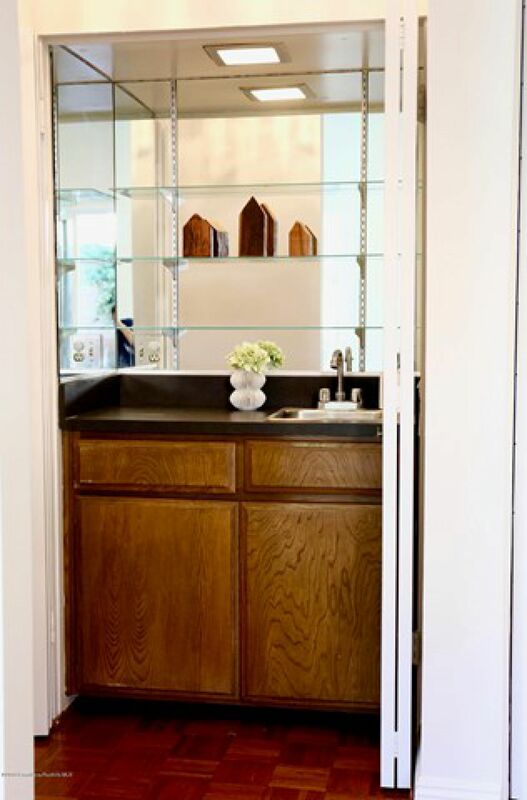 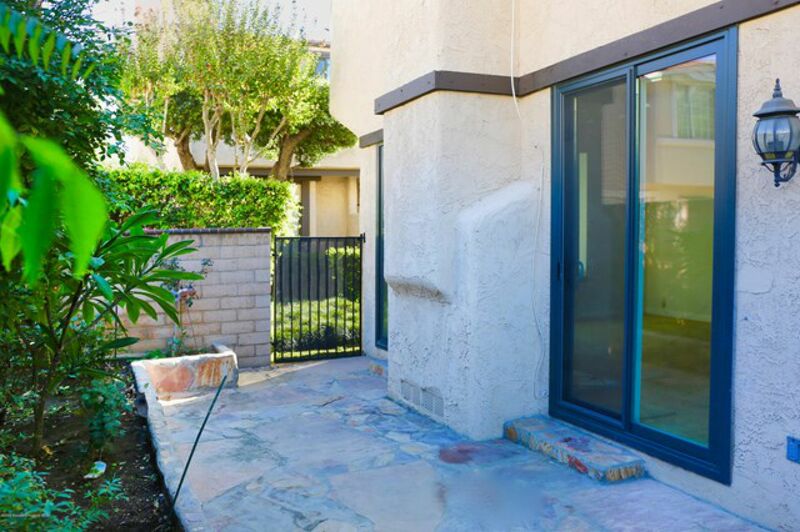 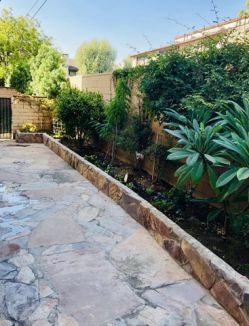 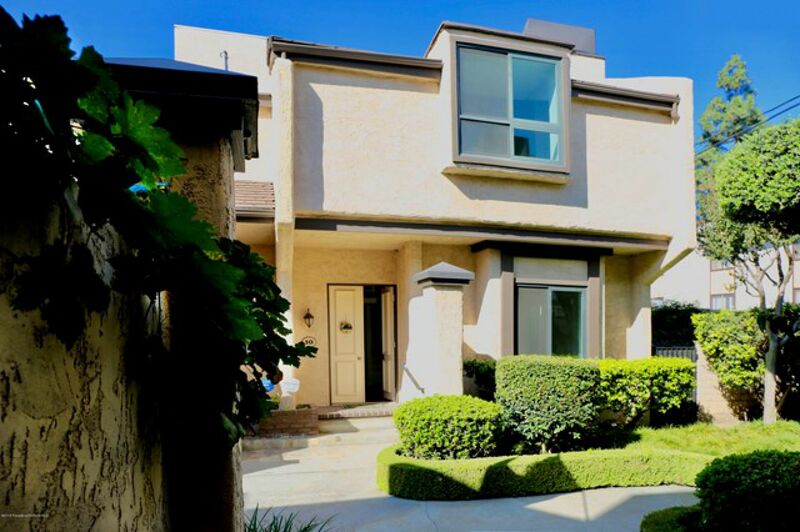 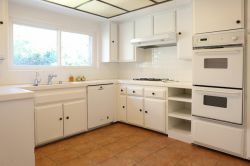 Located in the award-winning Arcadia School District and convenient to shopping, restaurants and the freeway, this rare end unit has been lovingly maintained. 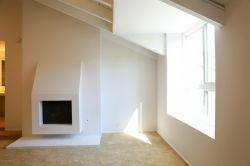 The main living area has rooms with high ceilings that are full of light. The formal living room, complete with wet bar and fireplace, leads to a large private patio, unique to the end units, which provides a perfect place for outdoor dining and gardening. 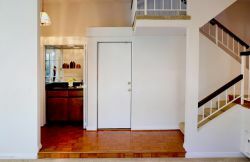 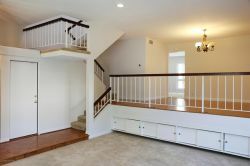 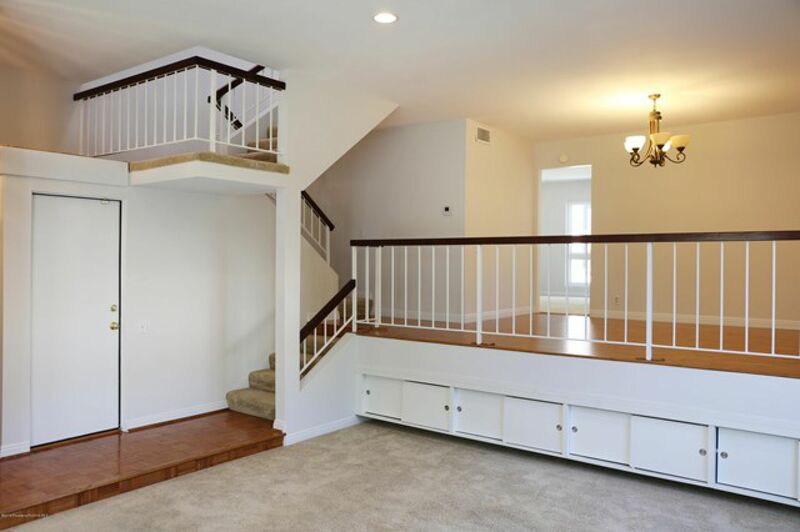 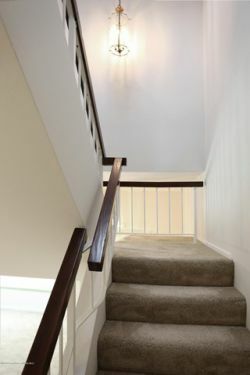 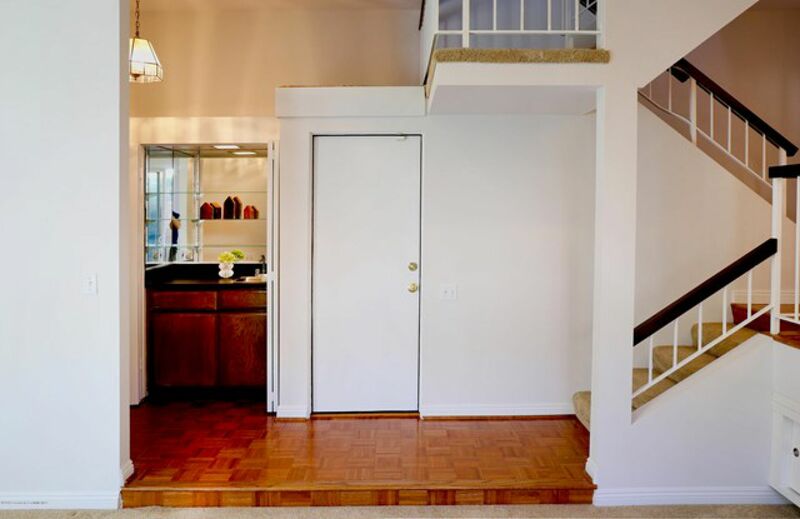 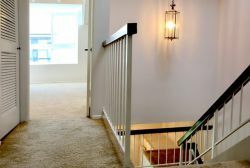 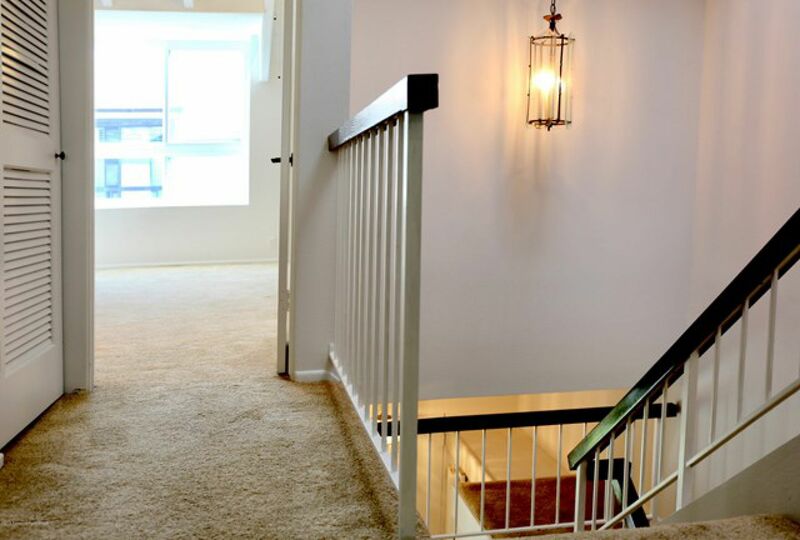 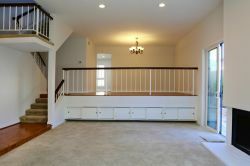 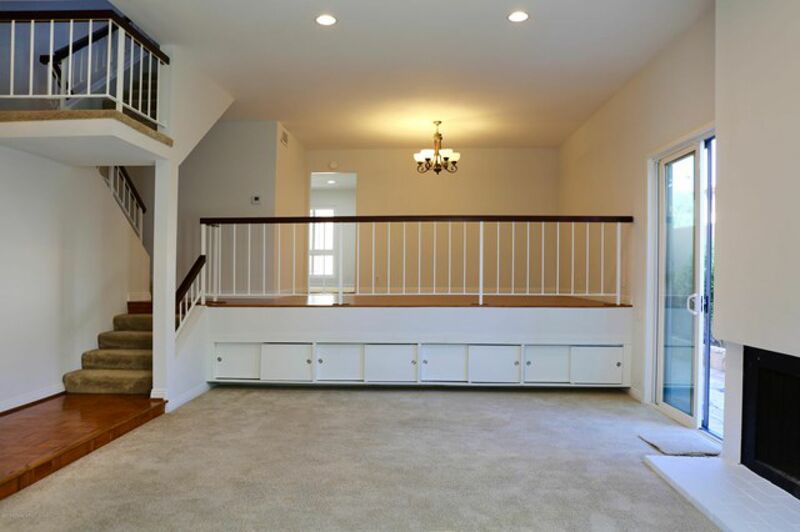 Up a short flight of stairs are the formal dining room, kitchen and den/family room, which could be easily converted to a third bedroom with 3/4 bath. 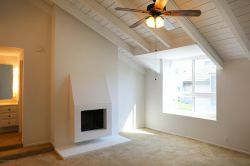 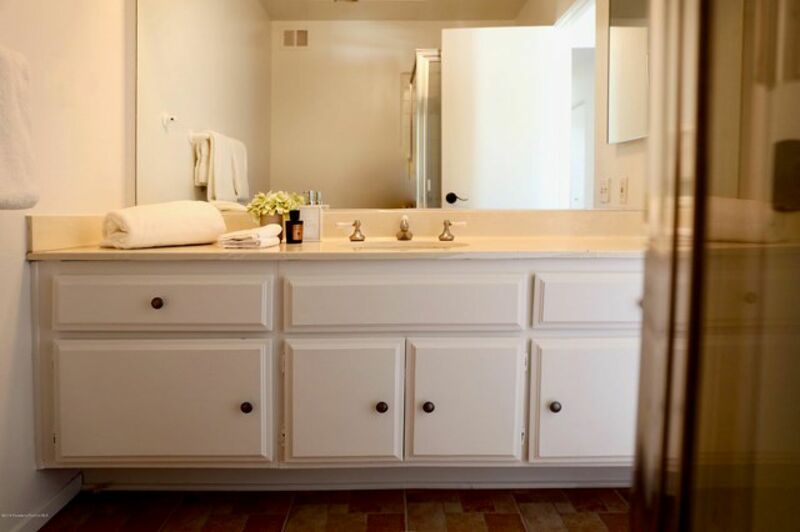 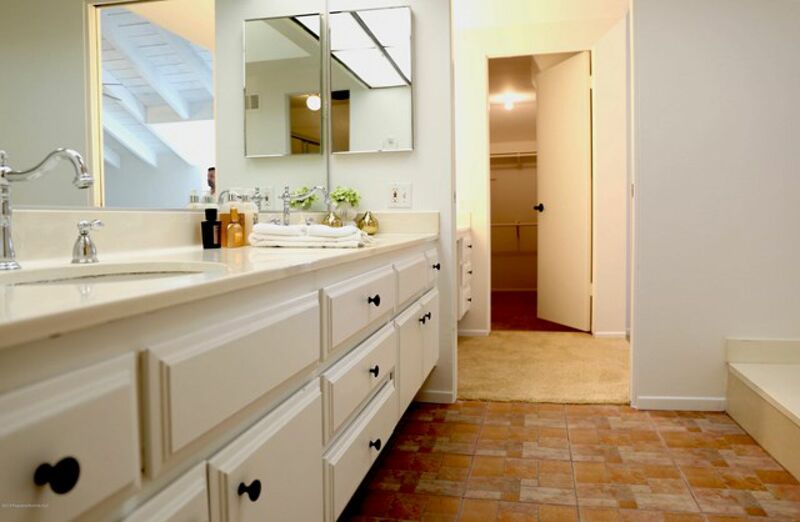 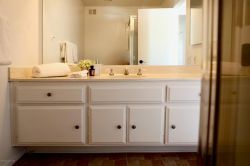 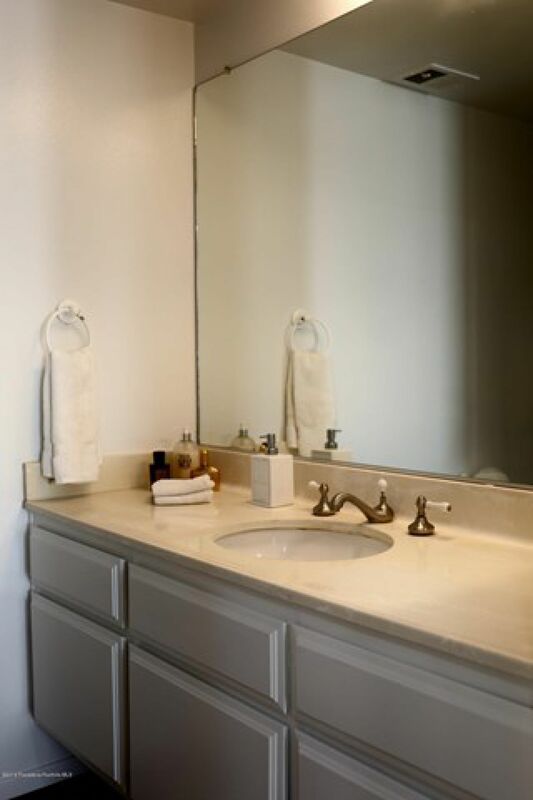 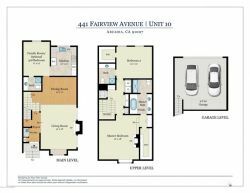 On the second level is the spacious master suite with beamed ceilings, fireplace, large walk-in closet and bathroom with tub, two sinks and a separate shower. 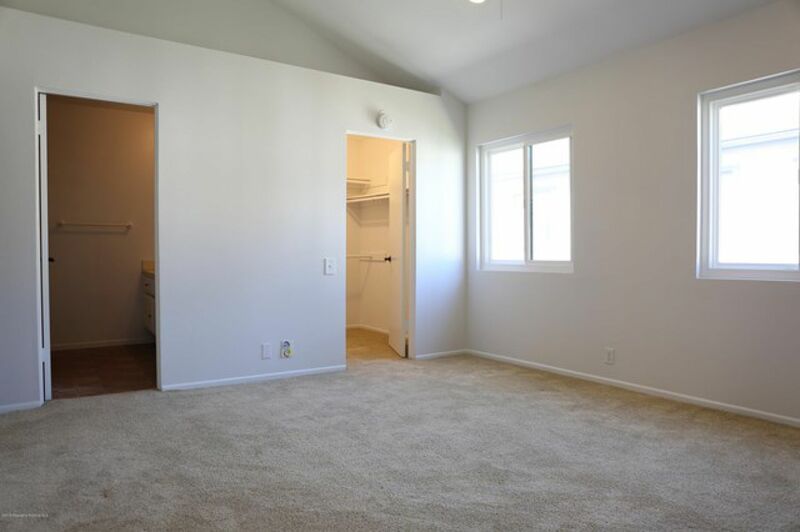 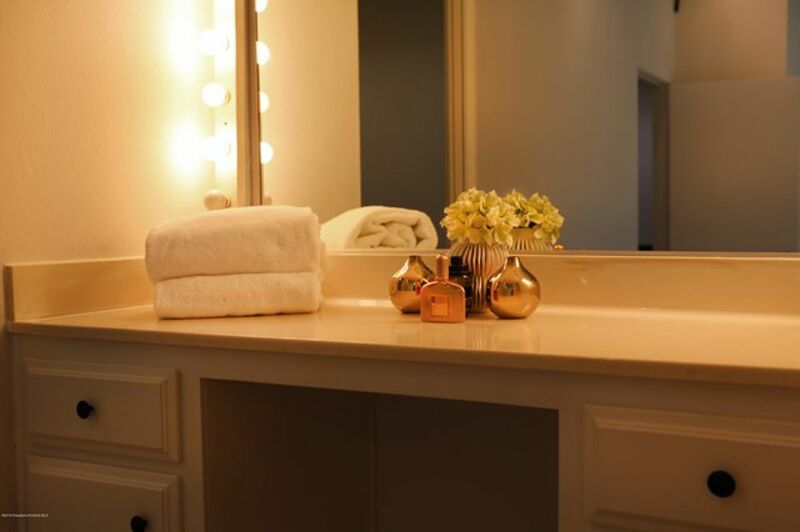 There is an additional bedroom suite on the second floor complete with its own bathroom and walk-in closet. 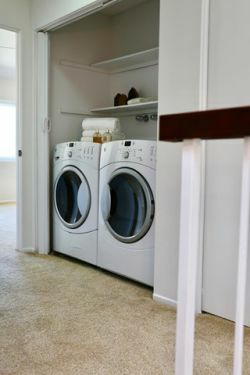 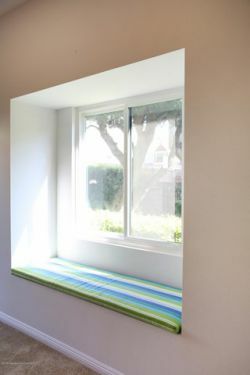 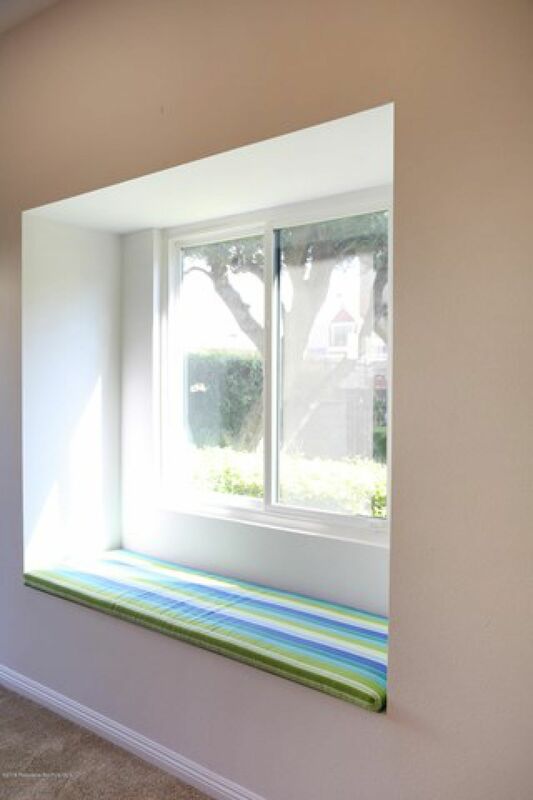 The laundry is located on the same level as the bedrooms for added convenience. 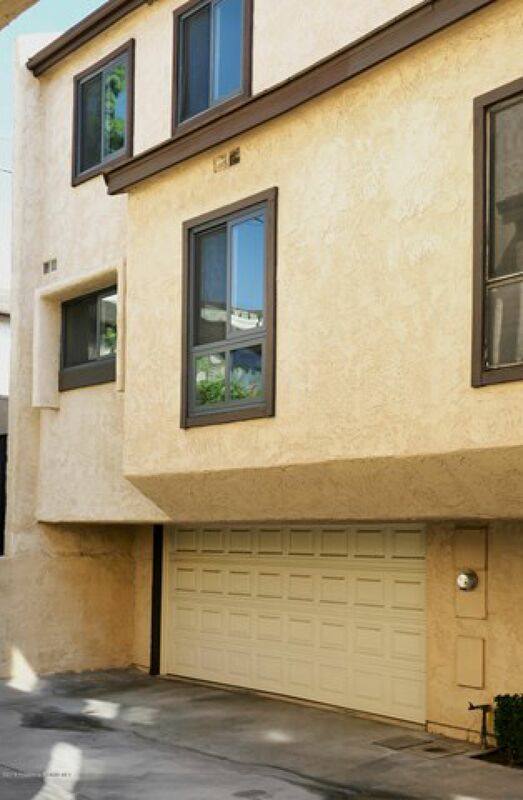 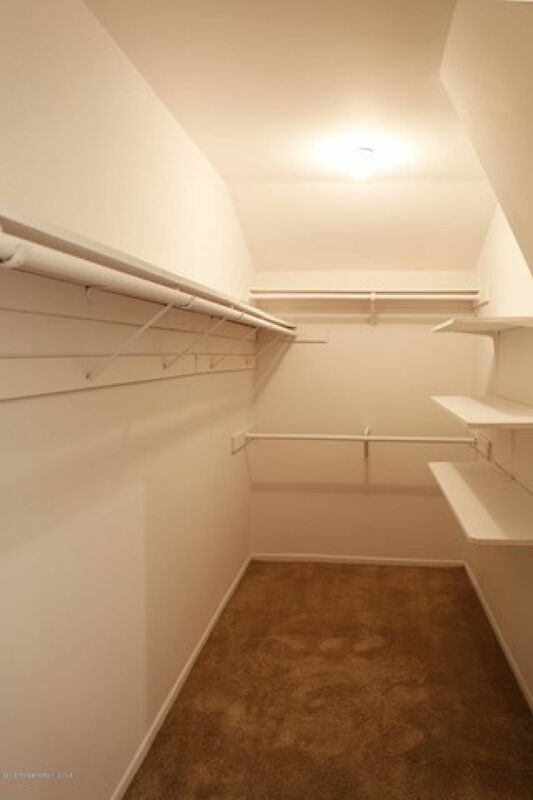 There is also a direct access, 2-car garage with additional storage. 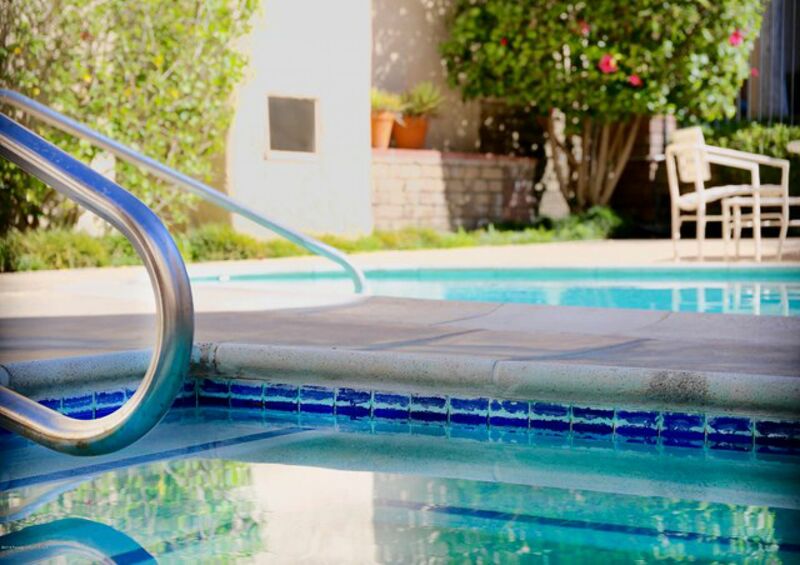 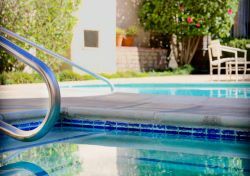 The complex has 32 units with a sparkling community pool and spa. 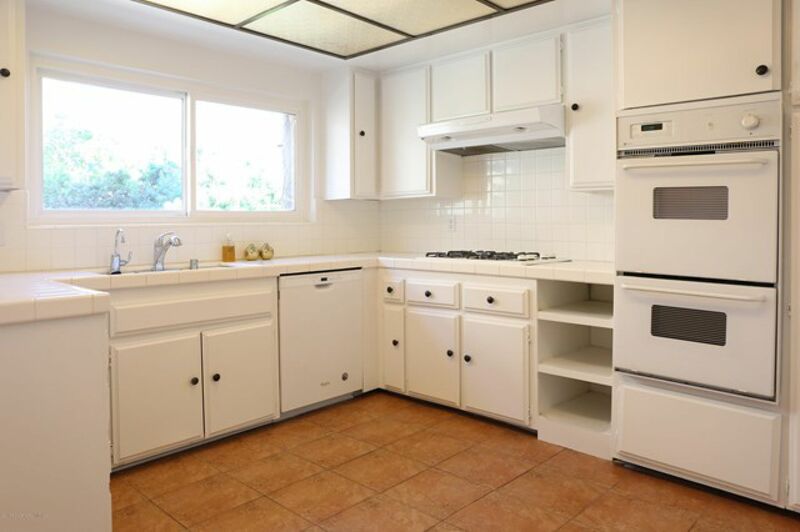 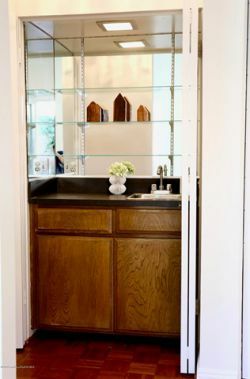 This turn-key unit is a 'must-see' to fully appreciate!